It is a common misperception to think of social media as different from traditional media. I believe that the more communication technologies evolve the more we must learn to see social media as part of “all media.” However, it is true that some aspects of media monitoring require a different perspective when talking about social media and gathering intelligence. Do you know what’s been said about you, and where? In a previous blog post I advocated how audience segmentation (the process of dividing a broad target audience into more specific subgroups) is key to effective communication output (the way we communicate). When I was asked to prepare a presentation on social media monitoring to gather intelligence I realized how this also applies to communication input (the way we gather information to then produce communication output). Knowing where people are talking about you and your activities is crucial. We’re currently in an era of information overload and learning how to listen and extract the information which is useful for our communication strategy is not an easy task. We tend to think that effective monitoring is about being techy or using the most advanced tools or the most elaborate algorithms. 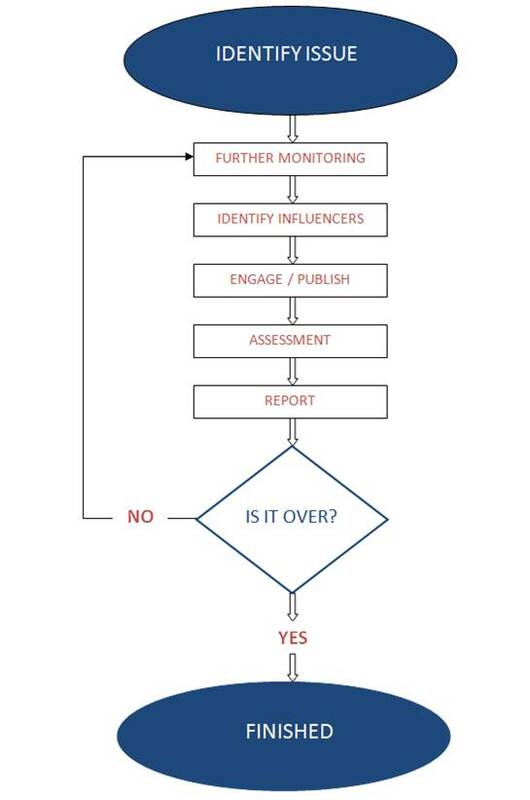 At the social media team in the European Commission we are often asked “How can I find influencers on topic X or Y” or “what tools can tell me exactly who to follow on a particular topic.” I’m afraid the answer is: there is no magical tool. Tools will help ease your workload but you should not forget the so-called “human touch.” No matter what monitoring platform you are using or monitoring project you’re setting up, you will always need some manual background research work. The amount of information that needs to be processed. The duration of the event/topic at stake. “Taking the temperature” of the social media interactions and shared content in relation to your activities is very important. Whether you do that through a corporate monitoring tool or via different platforms, every-day monitoring allows you to be reactive and keep close to the action. It is by monitoring the trends, the data and volumes of information on a daily basis that you will be able to understand when values are unusual (unusually high or unusually low) and to promptly react when needed. This usually refers to monitoring activities which are done una tantum. They generally end with prompt reports and are used to assess the performance of specific activities. They are good to evaluate events such as conferences, debates, press briefings, campaigns etc…Was the event successful? If not, why? Can we do something to counterbalance? This type of monitoring should be used to answer these questions. Short-term project-based monitoring can be set-up when a particular “opportunity window” opens (alteration of trend and detection of unusual values). For instance, if you are continuously monitoring discussions on social media about “finance” you will be able to notice when significant amounts of discussions suddenly start revolving around related topics like legislation, transactions fees or regulation. If any such topics is of particular concern for you, it would be interesting to follow a procedure similar to what you can see below. 3. After that it is recommended to make a decision on how to engage on the topic with the right stakeholders and suggest a publishing/output or rebuttal strategy. 4. Once this is done, it is necessary to reassess the situation and report it back to the people in charge who will verify if the issue is over or continues. If you make step 5 it means that your short-term project-based monitoring becomes long-term. These are monitoring projects that are on-going and for which you cannot foresee an exact end date. It’s good to keep an eye on these projects regularly on long intervals or when timely events may lead to values alteration. Stick to consistent measurement and reporting techniques. This is key to providing effective benchmarking. Organise your monitoring activities according to the resources you have at your disposal. Although it is very important to monitor your presence on social media, it also requires considerable resource investment. Try to find a sustainable balance between your workload and time spent on social media monitoring. With the help of social media monitoring tools, either expensive custom solutions or free online platforms, you will be able to gather enormous amounts of information. Think about who you are reporting this to and stick to what really matters. Information overload is your worst enemy. Engagor Day is an event for all Engagor users and partners which took place in Ghent on May 8th, 2014 at the Eskimofabriek. The goal is to keep them updated on the latest feature additions and everything that is coming up. In other words, the Engagor Roadmap. Moreover, active Engagor users, such as NMBS/SNCB and Thomas Cook UK, presented practical business cases to inspire and inform their fellow users. Among the introductory presentations and case studies that were discussed, I particularly enjoyed the contribution from NMBS/SNCB. Jean-Marie Hoffelinck (Advisor Online Communications) and Kim Castro (Community Manager) shared the story about the launch of their public transport company on social in 2013 and how they executed this exciting challenge. NMBS/SNCB is the Belgian national railway operator and autonomous government company formed in 1926. Like all public transport companies, NMBS relies heavily on customer care servicing around 850,000 daily travelers and dealing with a whopping 10,000 tweets per month. WHAT TRIGGERED NMBS/SNCB TO GO ‘SOCIAL’? Being one of the first customers of Engagor, NMBS started monitoring back in 2011 to get a better grip on how, when, and where people were talking about the company on social. The volume and type of questions were especially important to get a better sense of the social media landscape. To support their launch in 2013, they realized they had to put a great amount of effort into finding the right team and company ambassadors to fall back on. NMBS relies heavily on real-time communication. At NMBS, it’s all about context. In public transport, a tweet is often only relevant for 30 minutes.In terms of crisis management, NMBS dedicates all of their efforts to replying in a timely manner and proactively updating travelers with relevant information. NMBS needs to solve travelers’ problems within an instant. For example, when someone tweets, “My train looks rather dirty today,” it’s in their best interest to act on it immediately. NMBS wants to continuously improve customer care and give an accurate explanation as to why things went right/ wrong. One of the most important starting points was a Belgian crisis which affirmed the importance of real-time communication. In 2011, the @stationschefBMO account was created after disaster struck at the Belgian Pukkelpop festival during a severe thunderstorm. This incident proved Twitter was the perfect medium to inform people when all other means of communication (calling, text messages, etc.) were being cut off. Mobile, and more importantly, social are great means to provide support in real-time. From that point onwards, they really started noticing the significant success of @stationschefBMO (a personal account belonging to one of their employees). It caught their attention because of the positive impact it had on their image spreading some positive vibes for their company in the social sphere. Due to snowy weather on March 12th, 2013, train traffic was completely down in Belgium leaving hundreds of people stranded in trains and all the other travelers without any means to get to their destination. The country was plunged into a state of complete chaos, and thousands of tweets flooded the Twitter account of NMBS in just one day. After the disaster, they realized that “it really takes a challenging crisis before you can solve something” and knew they needed to properly utilize tools to better serve customer complaints, feedback, and sentiment. This was another really important factor that forced them to take action and be prepared for any scenario. Before jumping into social media, determine when your audience wants your brand to be active. This way the community managers of NMBS are available in the right time frame, from 6 am to 10 pm, to provide customer care. During that time period, two people (Dutch & French speaking) are responsible for all the replying. One really important thing NMBS learned is to find and involve internal specialists (or ambassadors) before the launch. What can you learn from them? How will they benefit your social media strategy? The next step is to create internal procedures for following up on a multitude of different questions, complaints, situations, etc. (FAQ’s). Refer your customers to your own existing channels. It’s crucial to direct them to your web pages, applications, etc. with links to cater for short, yet smooth replies. 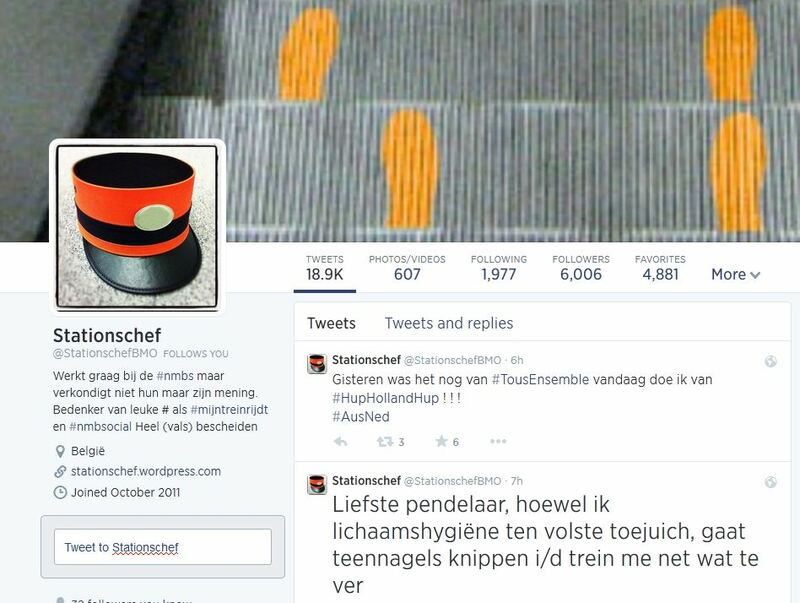 NMBS uses only one SPOC and handles every mention on this account. NMBS really stresses on the fact that you shouldn’t look at how your company and team is organized internally when structuring your social profiles. Creating accounts is striving for simplicity, and if necessary, create only one single account or SPOC. The monitoring phase of NMBS in 2011 was crucial to help them better understand the type of questions they would encounter, and more in detail, understand/learn the language of their customers. Knowing what the customer expects from you is necessary to translate your own internal, and often complex, jargon into a language customers can easily grasp. At NMBS, it’s all about identifying the strengths of the company. No company is perfect and there’s no point in covering up your mistakes. Train your social media team to always reply as a human first. NMBS used a specific training phrase for their social media agents to fall back on: “I’m a person at the NMBS/SNCB and I’m going to help you the best I can”. This motto makes it clear to continuously act as human beings, unafraid to acknowledge that you don’t always have access to the right answers immediately. However, you will do the best you can to ensure smooth replies. Media monitoring is about analysing what the MEDIA talk about. Social media monitoring is about understanding what PEOPLE talk about. When talking about measuring effectiveness on social media it is indispensable to talk about monitoring or, as many like to call it, listening. 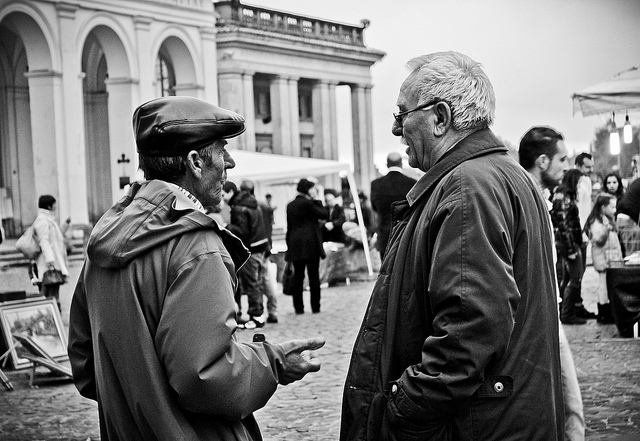 Listening is one of the most important yet it is one of the most often overlooked uses of social media. Listening to where your audience is, gives you an indication of how to address them in the most direct and adequate way. In today’s market, we really have a wide choice upon the indicators we can get. Even though a lot of data is available, that doesn’t mean you should drown in a sea of indicators! Here are some recommendations I would like to put forward on communication effectiveness on social media. Understanding the difference between “relative” and absolute” helps you gain a deeper sense of what your target audience or the influencers among your community are doing. 10, 1.000, 1.000.000 are just numbers. Whether these apply to likes, shares, retweets or followers, mere numbers won’t tell you much about your social media presence if they are not benchmarked. Compare your latest conference, Twitter chat or digital event with other similar activities. 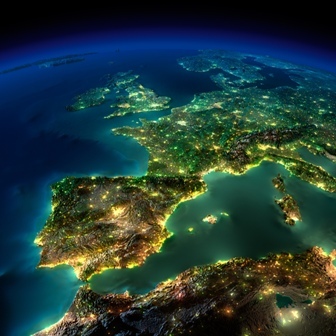 The same can be done for major online events that have had global or more circumscribed reach. Everybody is obsessed with number and especially with followers. Well, that partly makes sense since the bigger the followership, the highest the message’s reach. So why is Twitter founder Evan Williams advocating a move away from the follower count? “People like the illusion of quantitative success in social media. Numbers are meaningless though without engagement, without interaction with your audience that moves them to action.” Evan Williams is in fact advocating the importance of the retweet over the follower and he’s absolutely right. The number of followers you have is a false comfort and an unreliable metric. But the number of interactions you get is actually very valuable. While followers, fans, plusses are indeed indicators of popularity, getting followers per se should be a strategic communication goal. Instead of focussing on followers, focus on being engaging, making people share their views, opinions, questions. This is all very valuable content to understand what your target audience and online stakeholders are looking for. Focus on rewarding your followers with interactions and accessbility and don’t forget to be “human” by giving people a feeling that a person, not a machine is running the account. Reporting is not the end of this. It’s actually the beginning. The insight you have got about your performance, about the influencers in your topic, about the demographics of your conversations will serve as Step 1 for your next activity. This will help you refine your strategy for next things to come. Be more prepared and already build a network of people you want to interact with. Network creation should be one of your goals. A network where you are identified as a reliable and important source of information and expertise. There are literally thousands of social media analytics tools out there. When you get accustomed to one tool sometimes you might get the feeling that you are missing out on something and that other analytics tool can offer incredible, flashy and (apparently) indispendible features that would ease your work or provide you with some data which will help the enrichment of your social media reports. This is something I always try to stress as a social media analysts: the fact that other tools may offer “more”, doesn’t mean that other tools can offer what you actually need. There are 1000s of tools out there offering more or less the same data, stats etc… and that try to differentiate themselves by adding some (sometimes insignificant) features. Secondly, you should investigate which tools provide this data. Thirdly, among the tools you have identified, you can choose the one you think is the most user-friendly. If you do the opposite (checking what features a set of tools can offer and then go for the most “complete one”) your quest will be biased by some “needs” you possibly don’t have while analysing your social media activity. Don’t get me wrong, experimenting doesn’t hurt. So, I do encourage you to try different tools (if time permits). But when making your final choice, I would recommend sticking to the points above. In the last decade social media and 2.0 technologies have deeply shaped the way people get informed and communicate with each other. If the first phase of the Internet phenomenon enormously expanded the communication horizons, the 2.0 environment has set new models of communication that have not only a further impact on the enlargement of the audience but are also changing the relation between the publisher and the reader. Indeed, the distance and the difference between these two subjects have decreased creating new opportunities for a better understanding of the society. If the marketing world is still struggling to find the best way to make profits out of social networks, institutions and organizations seem to have a great chance to reach their audience. But what is the best way of doing so? Which are the benefits? And which the risks? Which are the most successful strategies? The “Share!” panel discussion aims at debating on the impact of 2.0 methodologies in social communication starting from some case studies developed within EU funded programs and European institutions.